Weld Riley, S.C. was honored to sponsor the community give back event during this year’s YP Week, a grassroots statewide program that brought together young leaders from 25 locations empowering them to take ownership and pride in their communities. The week-long series of events prompted discovery, adventure and meaningful conversation about issues that matter to young professionals in Wisconsin. On April 26, 2017, Weld Riley sponsored the Chippewa Valley After Hours Rotary club’s meal packing event. 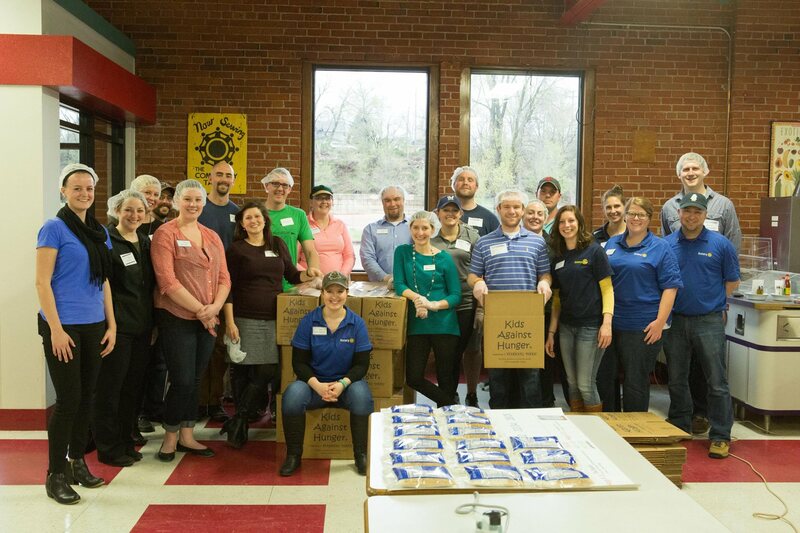 Weld Riley was able to encourage young professionals in our community to engage and give back while at the same time providing meals for children and families who may not have enough. Over 7200 meals were packed during this event. “In our world of plenty, it is important to give back to ensure our community continues to thrive,” Attorney Daneille M. Strong expressed. Strong is a shareholder at Weld Riley and actively involved in the community and Eau Claire Area Chamber of Commerce. Strong is the Chair of the Young Professionals of the Chippewa Valley and was named Outstanding Young Professional of the Year at the Chamber’s Annual Meeting on April 18, 2017.